R.W. Brother Daniel Bartlett was born and raised in West Brookfield, Massachusetts and worked on a dairy farm and in manufacturing while still in high school. He enlisted in the U.S. Coast Guard following graduation and served for the next 22 years in units ranging from Cape May New Jersey, to Southwest Harbor, Maine. These assignments included cutters, search and rescue stations and support bases. He retired from the Coast Guard in March of 2001 with the rank of Senior Chief Petty Officer. Dan then worked for Hinckley Yachts in Southwest Harbor as a Yacht Systems Technician until 2015. Dan was raised in Tremont Lodge in Southwest Harbor, Maine in June, 2000. 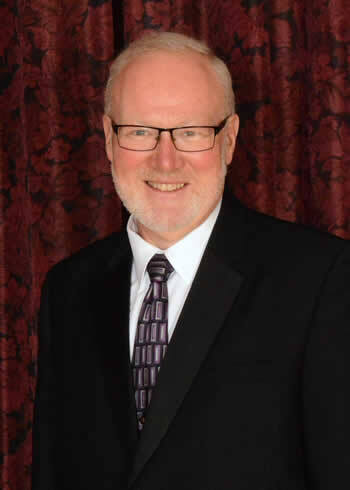 He has served as Worshipful Master of Tremont Lodge, President of the 21st District Officer’s Association and was appointed by MW A. James Ross as the District Deputy Grand Master of the 21st District from 2012 to 2014. Dan is also a member of both the York Rite and Scottish Rite Bodies, U.S. Coast Guard Chief Petty Officer’s Association and the American Legion. Dan has 2 adult children who live and work in the Portland area and he now makes his home in Belfast with his wife Susan and their West Highland Terrier Jack Frost. Dan was elected as the 15th Grand Secretary of the Grand Lodge of Maine at the 2016 Annual Communication and enjoys the challenges of leading the Masonic “service center” and serving the brethren of this Grand Jurisdiction.